How There and Back Again became The Battle of the Five Armies. And why. Even following our spy report last week that Warner Bros. (via New Line) had registered a new title for its trilogy of Hobbit films, I thought it unlikely they actually would follow through and make a change. Mostly because There And Back Again seemed too established as a name and it seemed a bit irrational to toss away all that brand recognition. On the other hand, it’s almost inarguable those two words The Hobbit are the true key that deliver all that goodwill (in an accounting sense) toward the films. And Warner Bros, with nothing more than the announcement of a mid-stream title change, have just scored the film millions of dollars worth of free editorial. That’s gold for any marketer. Jokingly, one suggests they could simply re-brand the thing every few months all the way up till December. 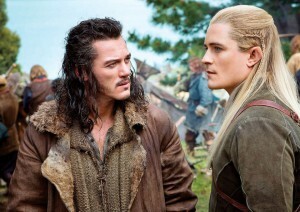 Regardless, we are now full speed ahead toward The Hobbit: The Battle of the Five Armies. No mention of Into The Fire. However, note that both production team and Warner Bros. have been considering the issue since before Christmas. Which is a fair chunk of time to do a bunch of brainstorming and little bit of focus-group testing. I’m sure it’s WB’s marketing department braintrust rearranging the furniture because some focus group told them “There And Back Again” wasn’t testing dynamically enough. Studios do this sort of thing all the time. That new Batman/Superman movie has registered dozens of potential titles. Importantly, our spy added that Into The Fire was registered with an organisation that deals only with movies, and not video games, tv shows or books (and not even DVD/Blu-ray extras). Thus we must conclude that as recently as last week, Into The Fire was in the mix as a potential title for the final Hobbit film. 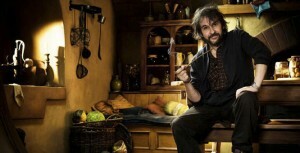 I suggest that, out of an undoubtedly longer of possibilities, the final choice boiled down to three options: the pre-existing There And Back Again, the previously registered The Battle of the Five Armies and Into The Fire, which was registered as recently as nine days ago, and prompted our fuss-causing spy report. But, the fan reaction to Into The Fire proved overwhelmingly negative. Unflattering remarks and comparisons abounded in our comment threads on the front-page post, on our Facebook account and on the TORn messageboards. Despite it obviously being a nod to a chapter title of The Hobbit novel (or perhaps because it felt too tenuous and generally a poor link). Faced with an option that fans hated, and one that Jackson and his crew felt no longer fit the plot of the movie, there was only one alternative. And thus, today, we officially have The Hobbit: The Battle of the Five Armies.